Since 1973. 8600 E-Bay Sales. We have been in the vintage watch business since 1973. Over 8500 sales on E-Bay since 1998 with 100% positive feedback. Rolex has provided less and less support for vintage Rolex watches recently. Rolex Dealerships are threatened by old Rolex watches. They seem to view vintage Rolex watches as competition to new watch sales. This is why they are refusing to support your vintage Rolex watch with accessories, straps and service! Supporting vintage Rolex is our specialty. We provide what Rolex stores used to provide; full restoration support and nice high quality straps. ROLEX and OMEGA Buckle Choices! Featured is an ELGIN WILD WEST BWR Railroad high Grade 14k BOX HINGED Hunting Case w/Chain 1890. We provide Service, accessories, and support for your vintage Rolex. 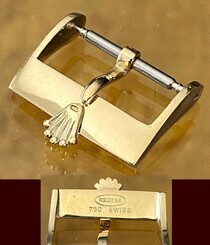 Enhance and add value to your vintage ROLEX and Omega by adding the correct Logo Buckle! 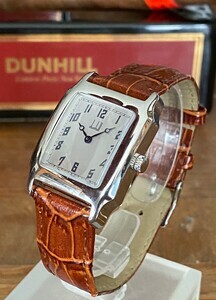 We provide new and vintage strap and buckle choices that authorized Rolex dealerships do not or will not provide. We accept credit cards through Paypal. We will accept your personal check or wire transfer. Please feel free to call us direct: Cell 310-430-2275.